However, since 2011, Latinos or Hispanics now start to identify as Native American, census shows. 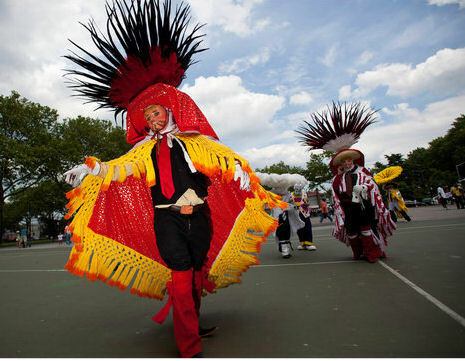 Even the New York Times features their article on the cultural change and perspective of Indigenous identity among mestizos, mulattos, and Indigenous people. Also, Latino comes from the root word Latin which corresponds to the nations that used to form the Roman Empire: Spain, Portugal, Romania, Italy, and France. According to El Boricua, “ The word Hispania thus refers to the people and culture of the Iberian peninsula, Spain in particular. The term Hispano (Hispanic) later was used in referring to Spain and its subsequent New World – New Spain, conquered territories which covers most of Latino America.” The white-mestizo society or descendants of Spanish relatives can claim these labels to themselves. But Latino is not a person who only looks Mexican and speaks Spanish. Many of us come from mixed-Indigenous heritage and some of us are Indigenous, too. For example, Ecuador is home to 30+ Indigenous nations and a home to 8 million descendants of the Quitu-Shyri and Spanish ancestry. It’s also home to 1 million Euro-Ecuadorians and 1.3 million Afro-Ecuadorians. However, the 8 millions Ecuadorian mestizos form part of the rainbow colors of the Indigenous race mixed with the Spanish and the African cultures. In Ecuador, we say “tenemos la pinta ecuatoriana” (we have the Ecuadorian look) because some of us are brown, have black hair, and some, more than others, inherit the Atahualpa face, our last Tawantinsuyu King in 1535. We also dance to merengue and reggaeton, but we blast to Indian music and do the round dance, stomp the floor, swing the skirts, and chirp like the Curiquingue and Quinde birds. READ THE ENTIRE ARTICLE AT: Don’t Be Fooled: Latino = Indigenous – ICTMN.com.